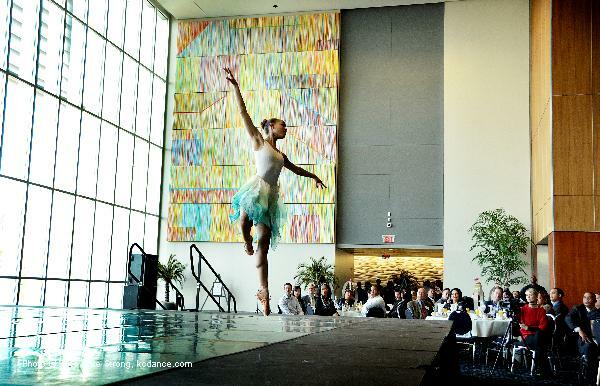 Miyesha McGriff in an arabesque dancing "Glory" by Tyrone Aiken at the Kansas City breakfast for Judith Jamison and Robert Battle. 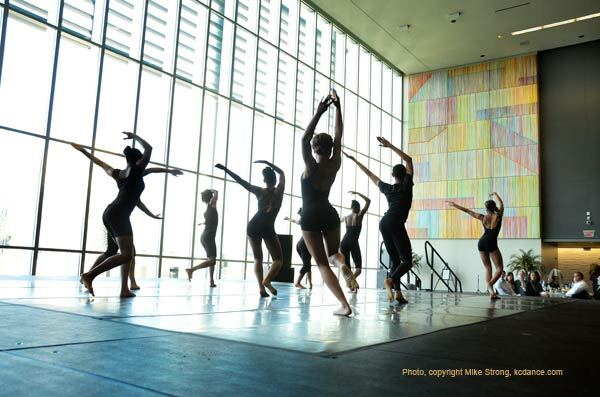 from UMKC Conservatories dance division, one of the top dance schools in the country. 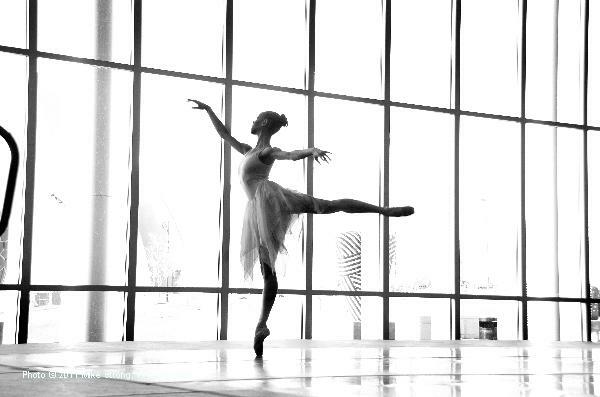 As Alvin Ailey designated Judith Jamison as his choice for artistic director, so too has Judith Jamison designated Robert Battle as her successor. Judith Jamison speaks to the breakfast group from the podium. A confident Robert Battle addresses the crowd to speak of his excitement. The Kansas City Call's Tracie Allen interviews Robert Battle on the terrace of Bartle Hall following the breakfast honoring Judith Jamison (in the background, being interviewed by Steve Paul of the KC Star) and Battle. 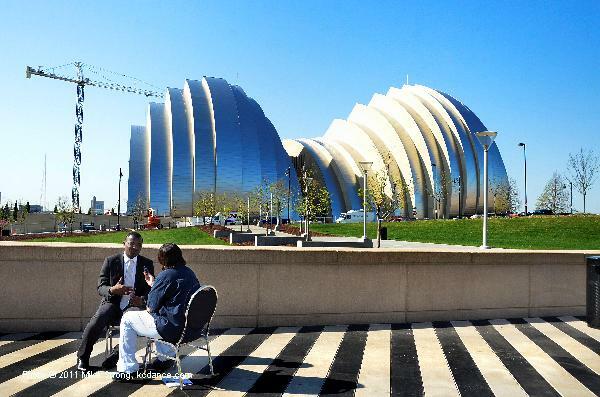 The Kansas City Call's Tracie Allen interviews Robert Battle on the terrace of Bartle Hall following the breakfast honoring Judith Jamison - with the nearly finished Kaufman Center for the Performing Arts in the background. Miyesha McGriff in the air at the breakfast for Judith Jamison and Robert Battle as Judith hands the torch of artistic director of Alvin Ailey to Robert.